Since 1970, we have proudly served the Charlestown community. Whether you are looking for a hand-tossed pizza, sub, calzone, salad or appetizer, we begin with only the freshest ingredients. It’s All Good! Summer is here and the weather is HOT. 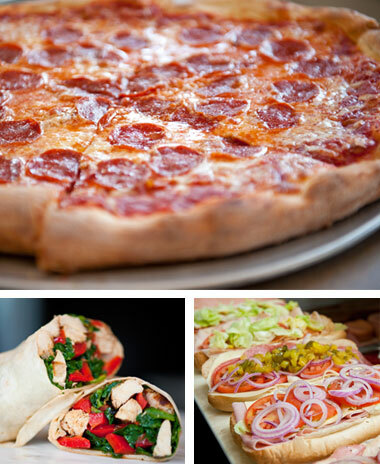 Don't feel like cooking, then give us a call for pick up or delivery. Remember, It's All Good! Click the button to place an order online for pick-up or delivery.